When: Sat., May 11, 6:30-10:30 p.m. 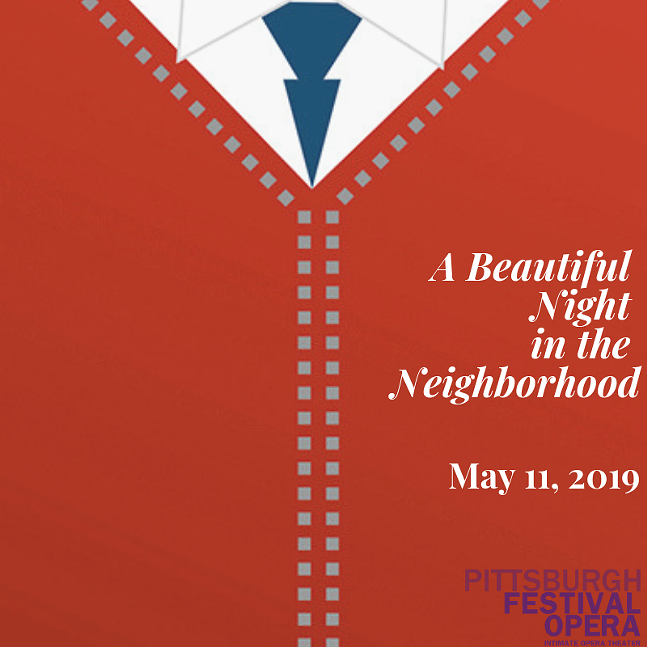 Celebrate Pittsburgh Festival Opera's 2019 season and the world stage premiere of two Mister Rogers' operas! Wear your favorite tux & tennis shoes, ball gown & cardigan, or come as your own make-believe character. There will be an open wine and brew bar, catering by Rania's Catering, music played by ARTISTREE, a silent auction, and original puppets from Mister Rogers' Neighborhood on display. 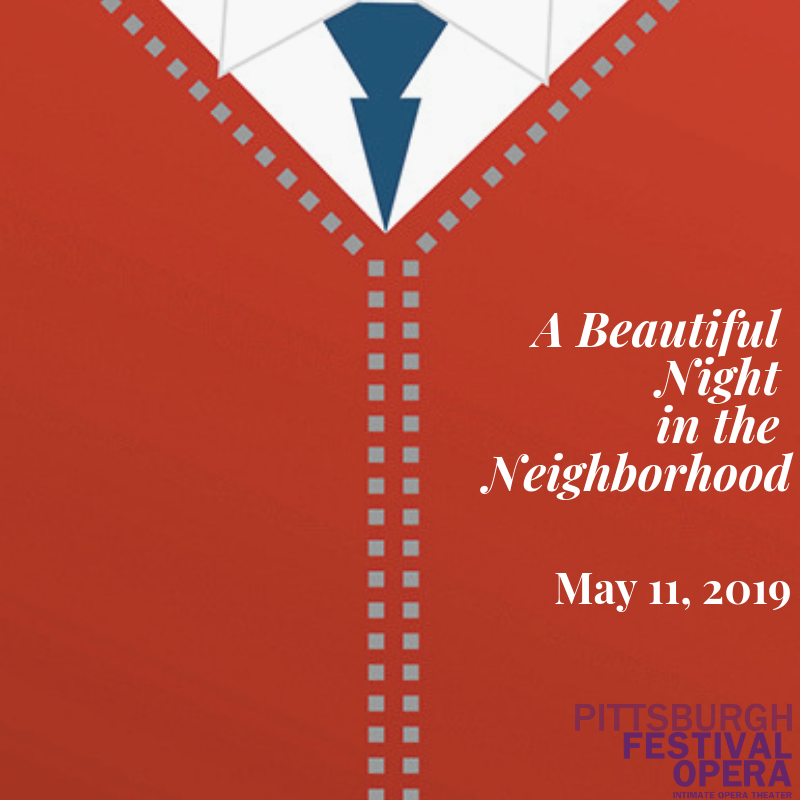 Proceeds will benefit the production of the 2019 Fred Rogers operas.